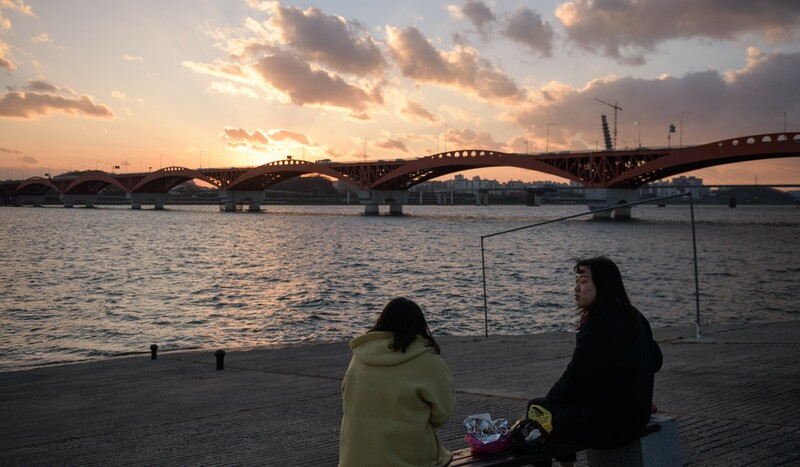 It’s the dreaded question single South Koreans find themselves fielding from relatives, friends, colleagues and even strangers on a regular basis: “When are you getting married?”. A 32-year-old female freelancer also based in the capital tells a similar story. “When I meet people for the first time, they ask me why I’m not married. It’s especially common for older Koreans to ask these questions,” she said, adding that the younger generation tends to find such queries rude and unnecessary. Yet despite this near-constant push to marry, an increasing number of South Koreans are forgoing weddings altogether. In fact, many don’t even date any more. A survey by the Korea Institute for Health and Social Affairs published in early January found that as of 2012, the latest year for which figures are available, less than 40 per cent of 20- to 44-year-olds were actively dating. The proportion in traditional marriages is even lower. In 2015, 90 per cent of men and 77 per cent of women aged 25 to 29 were unmarried, according to a report in The Korea Herald . Among those aged 30 to 34, the figure was 56 per cent, shrinking to 33 per cent for 40- to 45-year-olds, the report said. For comparison, a 2015 survey by the National Institute of Population and Social Security Research in neighbouring Japan found that 23 per cent of men had never married by age 50, versus 14 per cent of women. Why have young South Korean men turned against President Moon? South Korea’s birth rate is also the lowest in the world, dropping to 0.95 at the end of last year – meaning that for every 100 women, just 95 children were born. To maintain a stable population, the birth rate needs to be 2.1. In the boom times of the early 70s, nearly 1 million South Korean babies were being born each year, but by 2017 that number had more than halved to 357,700. The result of this is a society that is increasingly made up of old people. By 2030, nearly one-third of all South Koreans will be age 65 or older, according to a report published last year by economist Lee Jong-wha of Korea University. Because older people are less willing or able to work, a higher proportion of them will ultimately lead to a labour shortage, said Kang Sung-jin, an economist and director of Korea University’s Institute of Sustainable Development. This demographic time bomb is already familiar to so-called super-aged societies like Japan, Germany and Italy, where more than one-fifth of the population is over 65, but for many young South Koreans it seems like a distant worry compared to the more immediate problems in their lives. Getting married and having children can often seem like unnecessary expenses in a country where unemployment is hovering around a 17-year high of 3.4 per cent and the average annual wage in 2017 was almost half that of the average American’s – 35.5 million won (US$31,650) compared to US$60,558, according to the Organisation for Economic Cooperation and Development. A 2013 survey found that South Korean couples spent an average of US$90,000 getting hitched – including venue costs, wedding gifts for in-laws and other items. The economic burden does not end with the nuptials, either. One Australian women who recently married into a Korean family described marriage as a way for families “to trade wealth”, bargain and exert power. “If the son’s family has a famous name or the son is a doctor [then] that family can expect a large payment from the female’s family because they think they deserve some kind of tax from others for their perceived ‘high status’ in society,” said the 34-year-old. 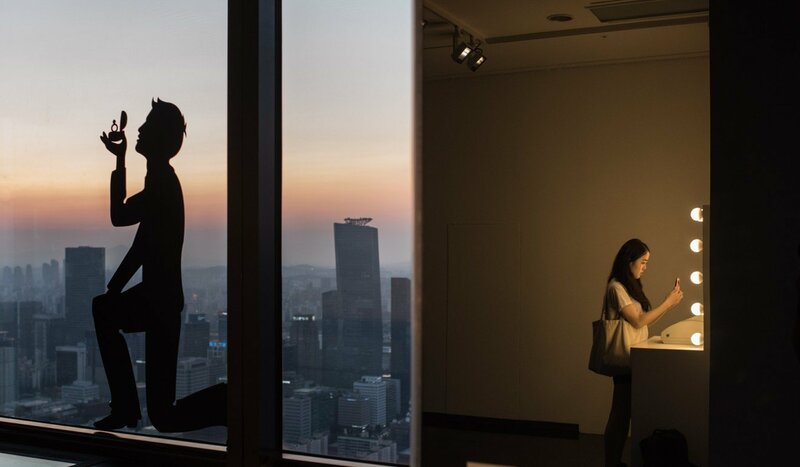 A culture that prioritises work and study over relationships is another oft-cited reason for South Koreans staying single. OECD data showed that in 2017, the average South Korean worked nearly 250 hours more than counterparts in the US, and 424 hours more than those in Germany. Last year, a survey of 1,141 people by employment websites Job Korea and Albamon found that 68.3 per cent were too focused on their careers or personal lives to get married, while 47.5 per cent were worried about financial pressures. The government in Seoul is well aware of the issue. Since 2005, it has spent 36 trillion won (US$32.1 billion) on trying to lessen the financial burden of having children, offering childcare subsidies of 300,000 won (US$268) per month alongside other incentives to young families. More new measures were unveiled in July, such as extending paternity leave to two years from the previous one, during which time new fathers are guaranteed 80 per cent of their normal wages – capped at 1.5 million won (US$1,338). Such efforts have yet to make a substantial impact, however, and critics argue that much more needs to be done to stimulate an interest in marriage among the country’s youth. “It doesn’t work because from the younger generations’ point of view, the [social and economic] costs of marriage and bearing children are too high and the current level of government support is not enough,” said Kang, the economist. In deeply conservative and patriarchal South Korea, women are also realising what they stand to lose by getting married. “Many women are aware of the unfairness they face after marriage,” said the 32-year-old female freelancer in Seoul, alluding to the social expectation that women quit their jobs and become homemakers. Shin Gi-wook, a sociology professor at Stanford University who specialises in Korean politics, said women also found it difficult to balance holding down a career with the societal expectations that are placed on them. Ultimately, according to sociologist and University of Seoul lecturer Michael Hurt, South Korea needs to rid itself of ingrained sexism and reform its long-standing negative policies towards women if it wants to raise a birth rate that has it set on the path towards “natural extinction by 2750”, as one study commissioned by the government found in 2014.